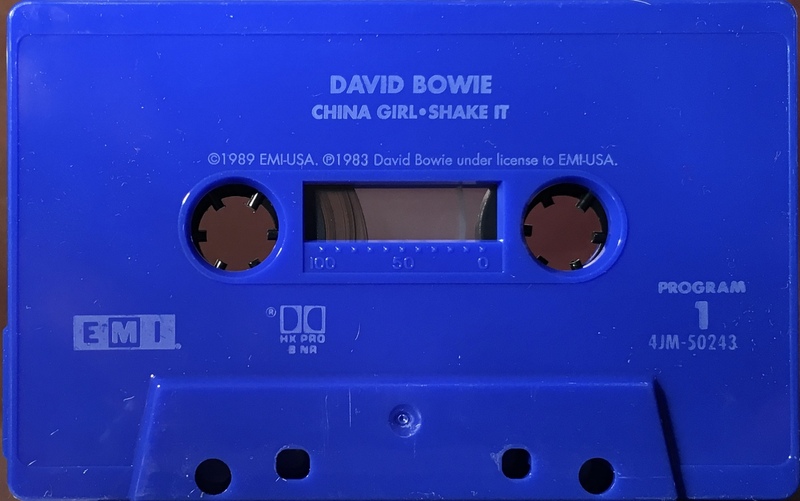 China Girl: USA; EMI, 4JM-50243; 1989. Card slip-case with picture front and black side and rear panels. 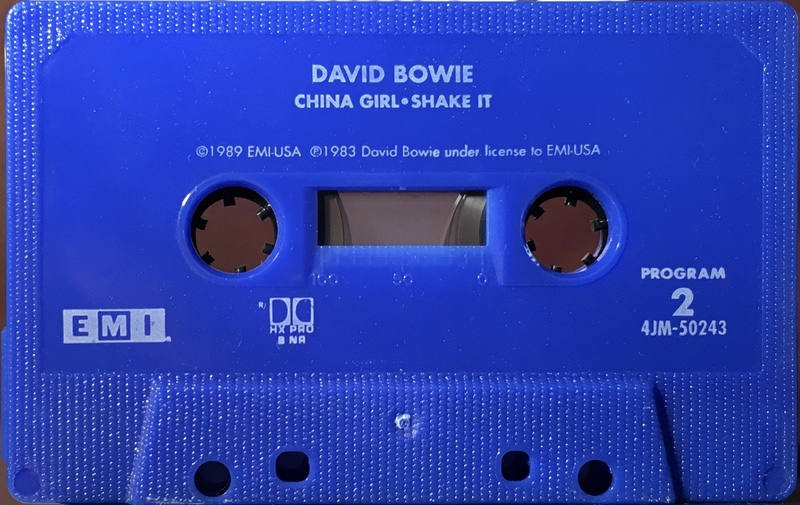 Track list on front and rear panels. 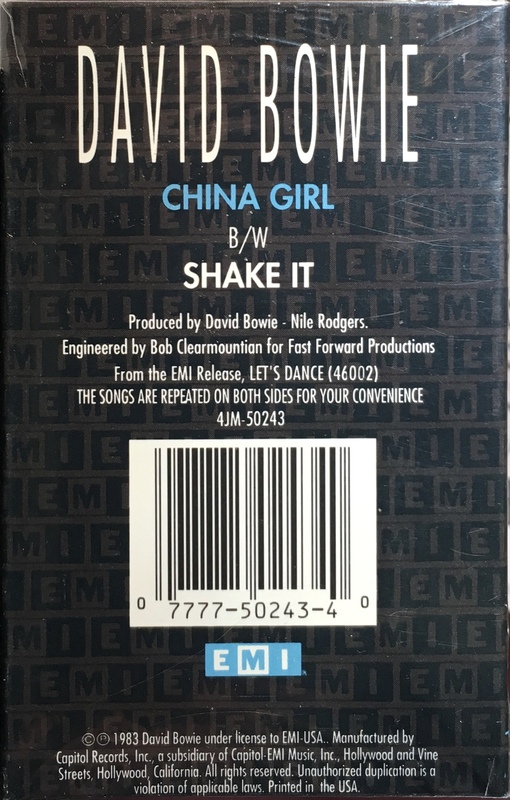 ‘© ℗ 1983′ on rear with ‘Manufactured by Capitol Records’. 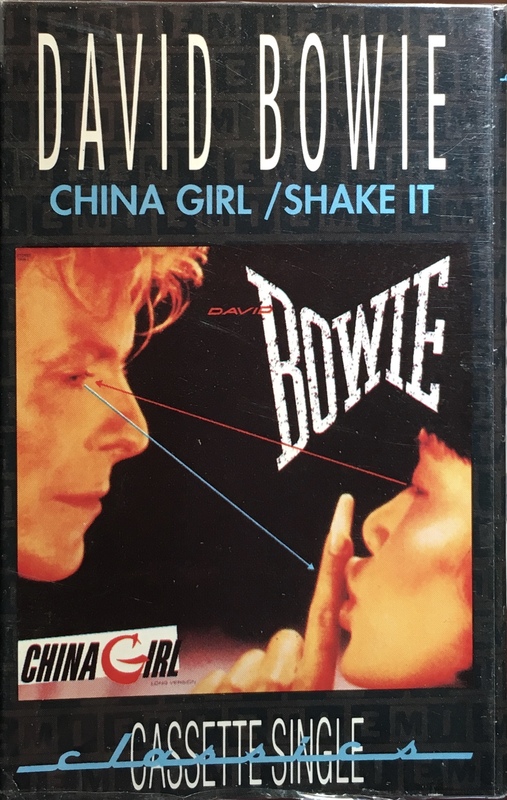 The timings for the tracks are: China Girl; 4:11 and, Shake It 3:49. 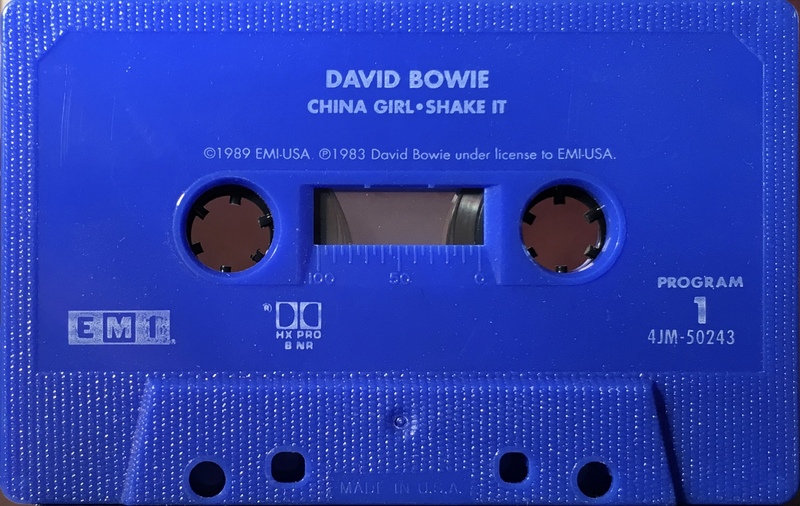 Silver ink printed directly onto blue shell with EMI and Dolby HX Pro logos on shell. Shell variants exist. 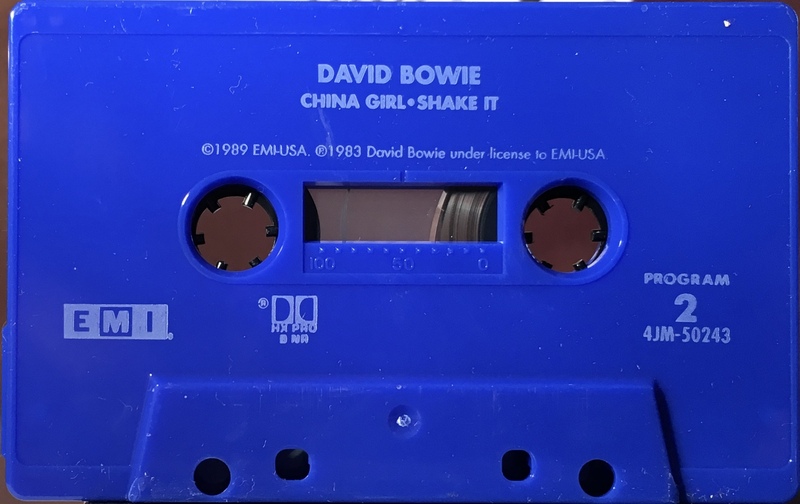 Side 1: China Girl; Shake It.